Advantage Powder Coating is located at the hub of the automotive industry. 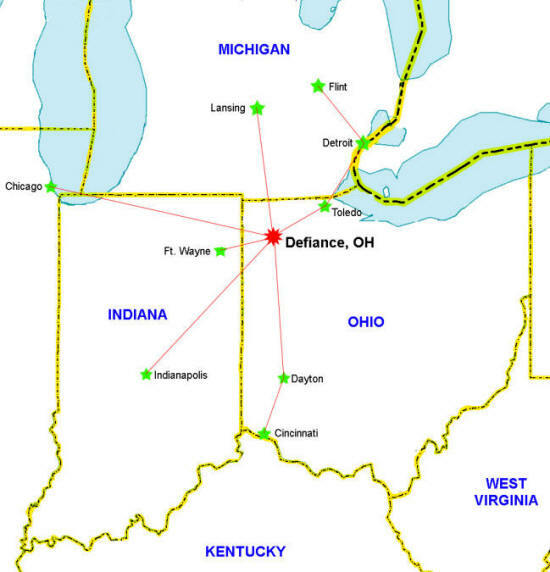 Defiance, OH is central to routes leading from Chicago, Indianapolis, and Cincinnati to locations such as Toledo, Detroit, and Lansing. Advantage Powder Coating is also adjacent to a major GM Powertrain facility, giving it easy access to the moving of parts back and forth with GM itself.